The premier Kids Martial Arts Katy Taekwondo academy! Growing bodies and minds need healthy stimulation and our combination of physical and mental activities inspire young people to explore their abilities and challenge themselves. Busy schedules make it hard to take time out for ourselves – but at Black Dragon Taekondo, we get it. Our convenient class times and family-oriented environment make it easy for adults to take some much-needed time out to focus on their fitness. 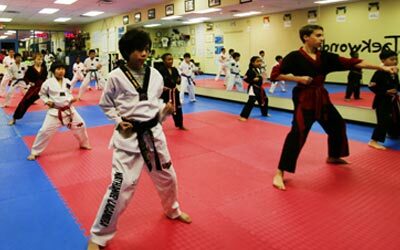 We pick children up from school and provide a fun, educational experience that includes every day Tae Kwon Do classes. 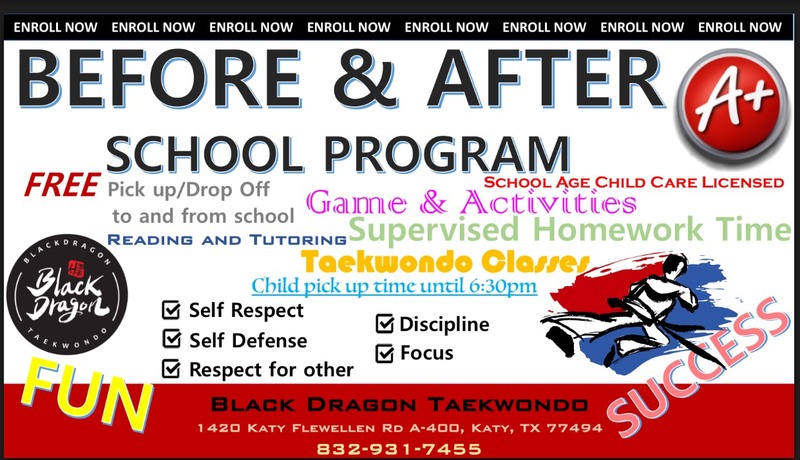 Black Dragon Taekwondo is a full-service Katy after school care option that keeps kids active and engaged until your work day is over. For kids, going to camp is about making friends and having fun. For parents, it’s about providing a safe and encouraging space for kids to learn and grow. 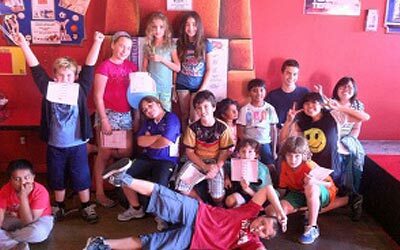 Black Dragon Taekwondo Katy Summer Camps are the perfect solution to school breaks with an enjoyable atmosphere that kids LOVE coming to. 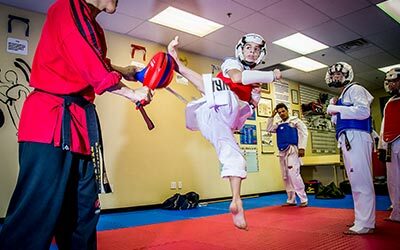 For many years, Master Seong has been providing friendly, personal attention to its members from little kids to adults, helping them stay fit, active and healthy through Taekwondo. We are here to help you reach all of your martial arts goals. We are one of the best professional teams of Taekwondo in Northern America. We help people of all ages enjoy Ultimate Taekwondo training. 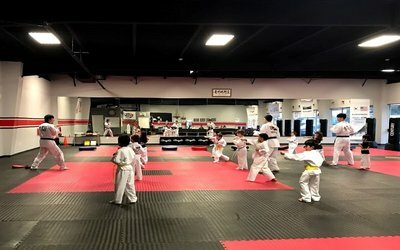 martial arts school in Katy. Success is determined by two things First, you must believe you can do it and Second, you must have the self-discipline to make it happen. Training at Blackdragon Taekwondo Katy will give you both of these attributes and help you in many aspects of daily living. After just a few weeks of training you will notice improvement in your energy level, flexibility, and health. Copyright © 2017 Black Dragon Taekwondo Katy Martial Arts. All rights reserved.